REGION — Encinitas and San Marcos have formally announced the timelines to fill the vacancies on their respective city councils following the 2018 election. But one city might have a tougher time filling the vacancy than the other. 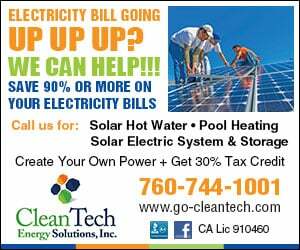 Each city is looking to fill the final two years of a term vacated by an elected official. Both City Councils voted to seek to fill the vacancies by appointment, and those cities will be accepting applications from interested residents. Encinitas will accept applications until 5 p.m. Jan. 4, and San Marcos’ deadline is 5:30 p.m. Jan. 10. To qualify for the respective positions, interested parties must be at least 18 years old, live in the city limits and a registered voter in the city and not be legally disqualified from holding office. Because both of the terms being filled were elected in citywide elections in 2016, as opposed to district elections, the council can select the replacement from anywhere in the city limits. 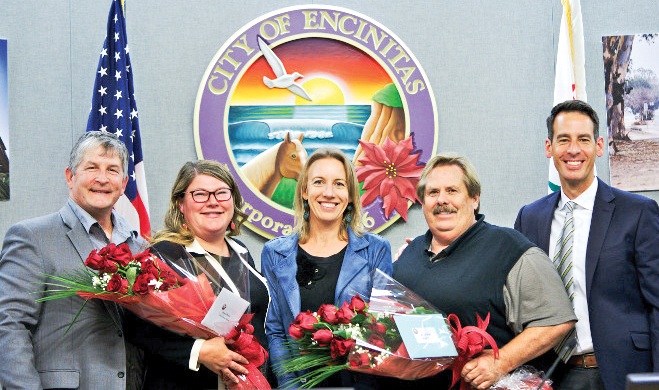 Encinitas, where the council is filling the last two years of State Assemblywoman Tasha Boerner Horvath’s term, has selected the Jan. 9 City Council meeting as the date it will hear from the applicants, after which time they could make an appointment or continue the hearing until Jan. 16. The San Marcos City Council, which is seeking to fill the final two years of Rebecca Jones’ council term – which she vacated to run for mayor – will interview all qualified candidates during a special council meeting at 6 p.m. Jan. 15, and could make its decision at the meeting. In Encinitas, where three of four council members were recently re-elected after supporting each other’s campaigns, a unanimous or near-unanimous appointment appears likely. However in San Marcos, two of the newly elected officials – Maria Nunez and Randy Walton – ran against candidates supported by Jones. All eyes will likely be on the lone council member who did not run in 2018, Sharon Jenkins. A registered Republican, Jenkins voiced support for Randy Walton in his race against Mike Sannella in Dist. 2, who Jones endorsed. Jenkins and Walton both served together on the San Marcos Unified School District.